If you’re running a company account or personal account you must know that not everyone interested in fitness knows the biomechanics and biology of the body. In fact, there are hundreds of thousands more of these types of people that don’t know this info as opposed to the types of people who can identify what adenosine triphosphate (ATP) is and how that affects the body, or where the latissimus dorsi is and how to target it. If growing your audience is your goal, then you need to target the people who don’t know the specifics, but know that they want to be physically fit and are open to tips and suggestions. Tips of all kinds are what will keep your audience coming back for more. You (or your company) need to be a reliable source of information related to the general fitness population. For example, you can explain that 3,500 calories equals approximately 1 pound of fat. Therefore, if your goal is weight loss, you must know that if you cut 500 calories from your diet PER DAY, you’ll be on pace to lose a pound a week. With general fitness tips like these, not only will your fans/followers build a rapport with your page, but they will also be more inclined to share your tips and information with their friends who have similar fitness goals, thus growing your following. Similar to tips are blogs and articles. These will allow you dive a little bit deeper into a particular topic. Take dieting, for example. Dieting can be so gosh darn complicated. It seems like everybody has a problem trying to figure out his or her diet. There are too many variables such as not knowing how to food prep or what to do in case you are traveling, etc. It’s good to give simple dieting tips, but with a blog or article you can dive more into these questions and let the fans who are interested in learning more, read for themselves about a topic they are interested in. These are basically video tips showing your audience how to do a certain exercise or why doing wide grip lat pulldowns target a different muscle than doing close grip lat pulldowns. Try to keep these training videos to a minute or less. If you can’t explain a particular exercise/movement in under a minute, chances are it’s too complex for your audience (See #1). Plus, the longer the video, the more likely your audience will tune it out or get bored. In addition, videos on Facebook are shown to have a much larger reach and engagement than photos, meaning more people will be engaging with your content. MMMMMMM, Recipes. Chicks dig recipes. There’s something about seeing some delicious looking food and having the recipe right there to make for yourself. Take a look at this picture (Photo from IG User @alinebarreto_oficial). Now tell me you wouldn’t want to eat that? Not only does a photo like this have your audience salivating on their computers while reading the caption with the recipe, but it also encourages them to get creative with their meals. I’d be lying if I saw someone who looks phenomenal and didn’t wonder “I wonder what they are taking to help them achieve that look.” Yes, unfortunately in the fitness industry you see the term steroids get thrown around quite frequently. However, there is only a fraction of a percent of people who use them. I truly believe that saying someone uses steroids to look the way they do (whether it’s true or not) is a HUGE diss to the amount of hard work, dedication and commitment that person has put into their physique. I digress. Advice on supplementation is always helpful to a fitness enthusiast looking for a supplement to help shed those stubborn last few pounds or pack on that little bit of extra muscle. With so many different supplements and supplement companies out there it’s hard to get a clear picture of which products work and which ones don’t. If you’ve built up a connection with your audience, they become more open to your suggestions and are more likely to follow your lead on supplementation. I can’t begin to describe the amount of social accounts I see from a business (or individual for that matter) that are all about me, me, me! People don’t like being demanded to do something, yet so many supplement companies and fitness personalities only talk about their supplements or their services. With each and every social media post, you MUST take into account the “What’s in it for me” question. This means, think about what your audience wants to see. Stop forcing your product down their throats! The more content/information you pass on to your audience that they want to see, the more engaging they will be with your page. More engagement turns into more eyeballs, and more eyeballs turns into more fans/followers. It’s not rocket science people. It’s simply finding out what your audience is interested in and giving it to them. Hashtags are HUGE, but if I were to type every single fitness related hashtag right here, you’d read what? Maybe 5 or 6 before moving on? You know this is true, so STOP typing 50 different hashtags into the end of your Instagram post like this one! I promise you that your followers are not reading your bazillion hashtags. Try to focus on 5-6 hashtags that are most relevant to the content you are posting. For example, if you are posting about a diet tip, use #Diet, #Dieting, #DietTip, #HealthyEating, #CleanEating, etc. All these are going to be related to your post and if someone searching these hashtags comes across your content and finds it informative and useful…guess what? You probably just gained a follower. These are topics to get your content seen on a daily basis. If you have an interest in Fitness and go onto Twitter on any weekday, chances are you will find a fitness-related trending topic. These topics are: #MotivationalMonday, #TransformationTuesday or #TipTuesday, #WorkoutWednesday or #WCW, the always classic #TBT and last but not least, #FitnessFriday or #FitFamFriday. Utilizing these hashtags on trending topics increase the chances that your post, tweet, etc. gets seen by more than just your normal audience. And once again, if increasing followers is your goal, then maximizing the amount of people who see your post is extremely beneficial. Last but not least, gym humor. My personal favorite. This is the one topic that literally every fitness person can relate to. 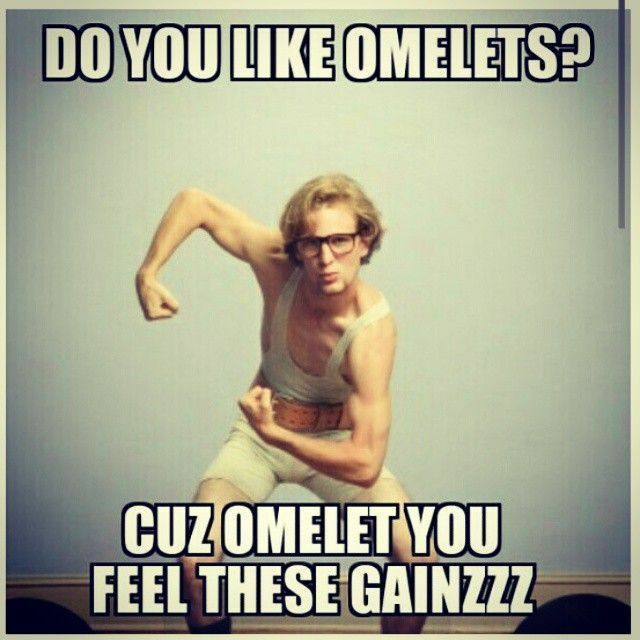 The best part about gym humor is that it doesn’t have to be tied to a specific demographic. Some gym humor can be about using certain workout equipment while others can be post-workout struggles (particularly leg days). You’ll notice that when you post a gym humor picture, there’s a high chance that people are tagging their gym friends because we all have been there before. The more people are engaging with your post, the more of a chance you have to attract new fans/followers.